Amazon Studios has some pretty impressive book-based tv series heading to screens across the world, and they decided to ask Twitter which out of 4 titles they were most excited for. 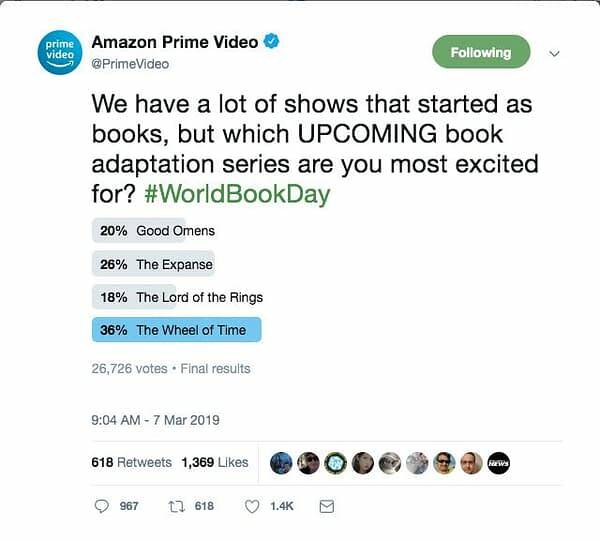 The options, asked back on March 7th, were Good Omens, The Expanse, Lord of the Rings, and Wheel of Time. 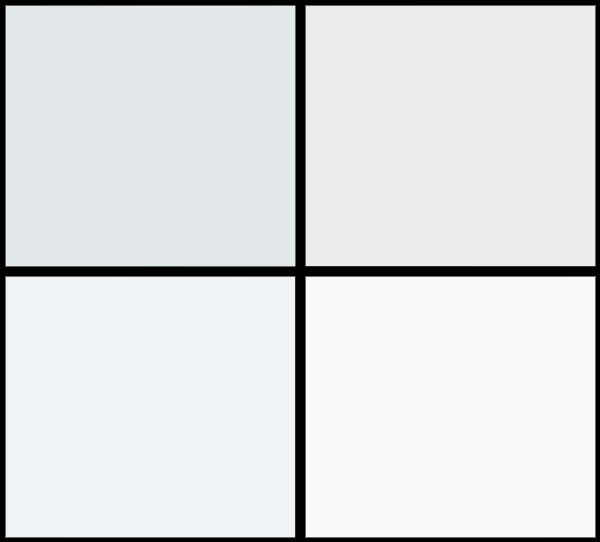 We were pretty surprised by which thing ended up with the most votes. We were NOT expecting Wheel of Time to top that list, but, The Wheel turns as The Wheel wills, we guess. Last we heard, the series was moving forward with Westworld‘s Ute Briesewitz on board to direct the first two episodes of the tale. Showrunner Rafe Judkins shared the news, and we adored his admission that Briesewitz “can pronounce Nynaeve like she was born to it,” something with fans of the Village Wisdom have been fighting about for years. Briesewitz started off in the industry as a cinematographer, and has numerous tv credits under her directorial belt- The Deuce, Stranger Things, This Is Us, Jessica Jones, Orange Is The New Black, Jane the Virgin, Fear the Walking Dead, and Hung (which she received an Emmy nomination for). Reportedly, the series will begin filming in September of 2019, so hopefully casting news isn’t too far away. We’ll of course keep you up to date with news about the series as it’s revealed. Report: 'Wheel of Time' Has Themselves a Casting Director!